The cherry blossom theme’s a bit of a find (much like that man of yours). 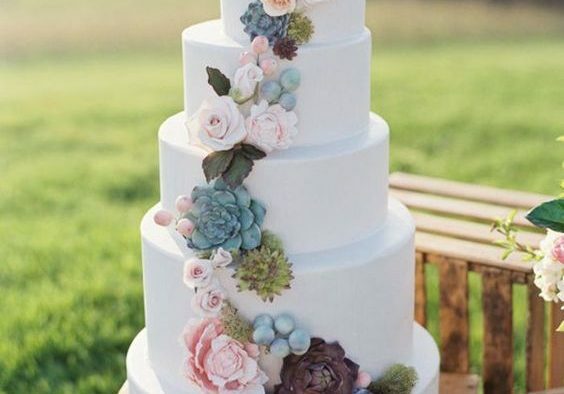 You won’t find it dominating back-to-back receptions from June to August — yet it draws on color and thematic trends that couldn’t be fresher. 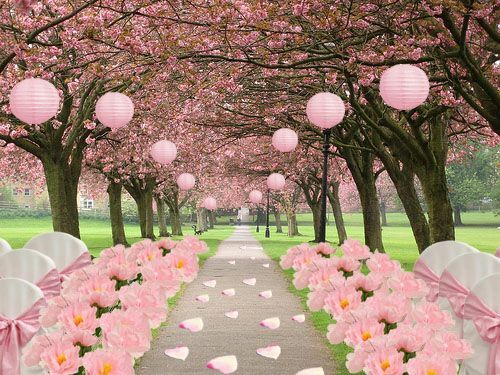 Cherry blossoms are beloved: by the Chinese, the Japanese, fashionistas, home decorators, girly-girls and poets. They stand for virtue and new beginnings. Even more, they stand for ephemeral things: our lives, our joys, and those all-too-brief times on cloud nine, like your wedding day. 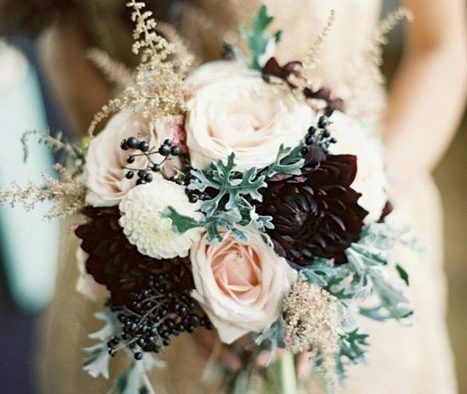 Chocolate brown and strawberry pink: these two are still going strong for weddings, and look great together. 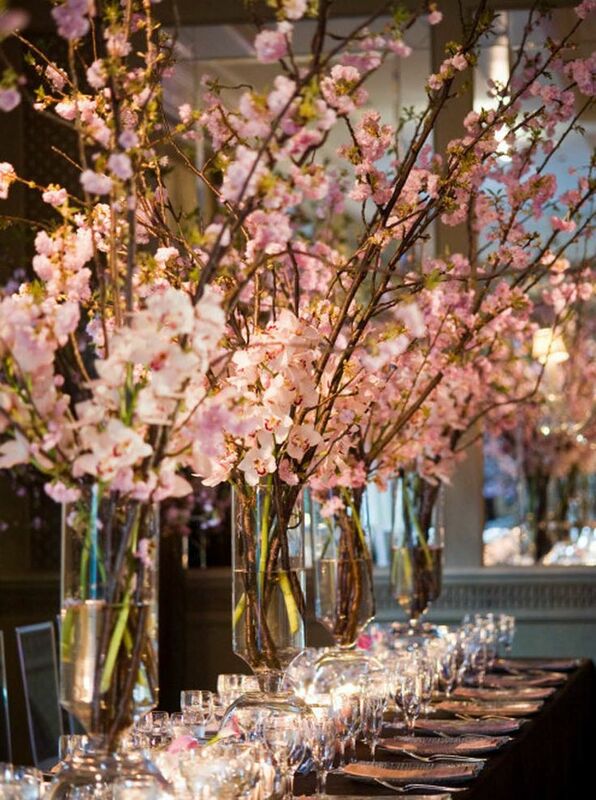 The cherry blossom theme lets you not only draw on those lovely colors (or spin a new set altogether), but bring a sophisticated Asian flair to your reception without having to wade in too deep. People journey from all over the globe, East and West, from Tokyo to Washington, D.C. to see the cherry blossoms peep out in spring. What makes everyone gasp (and return year after year) is the sensation of being surrounded by a snowstorm of flowers: overhead, the “cloud layer” of flowering branches; below, the thickly-laid “snowflakes” of individual petals. 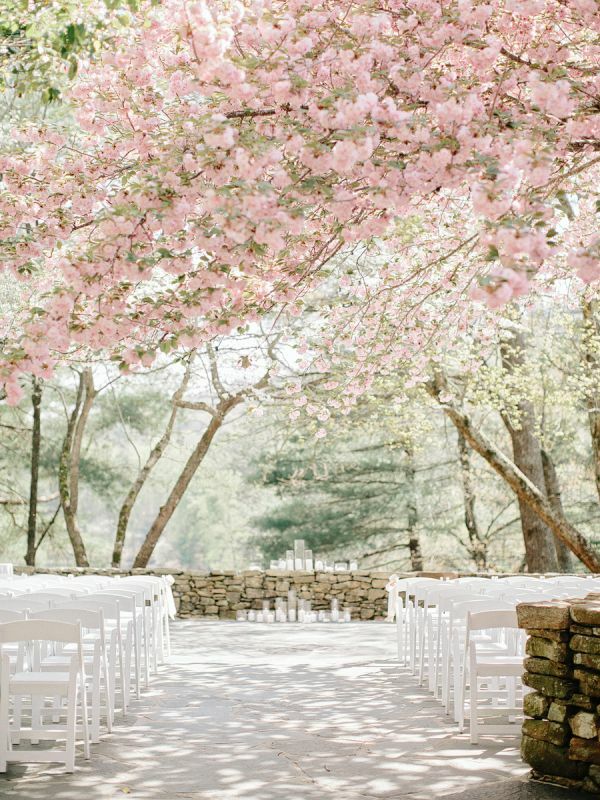 Bring a similar feel to your own wedding by celebrating the outdoors. 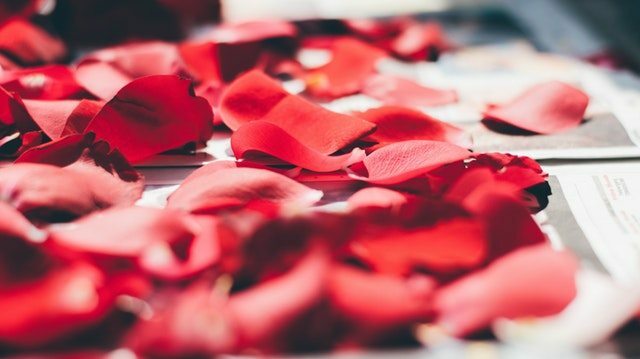 If your climate and date will play along, marry outdoors with a thick layer of flower petals carpeting the aisle like a mini snowstorm. 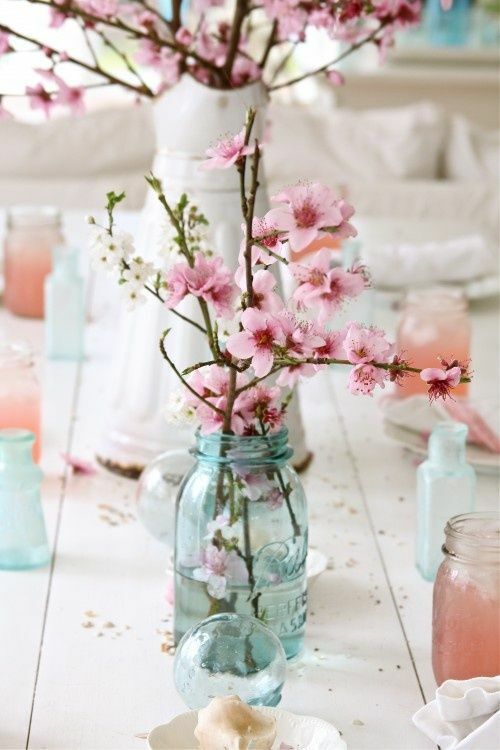 For centerpieces, use compact flowers that suggest cloudy skies, like hydrangeas or peonies in delicate colors. 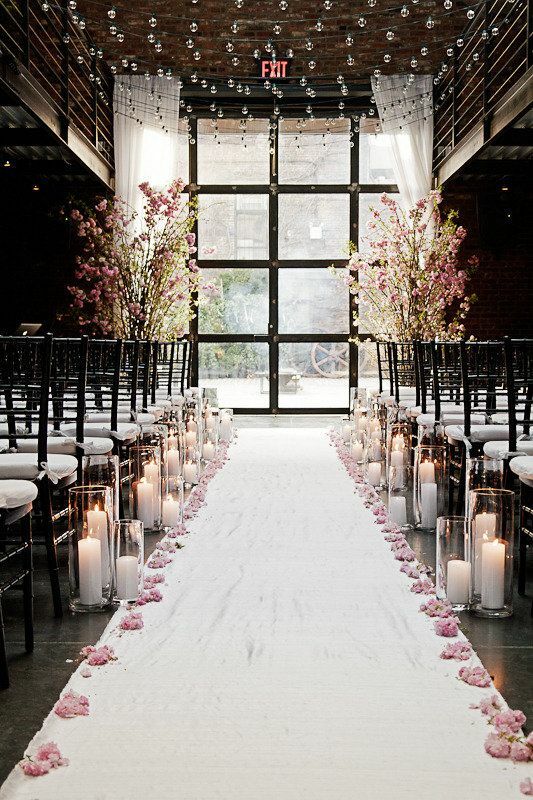 Group them with crystal-beaded willow for dramatic height, and scatter petals generously down the table runners. Then, re-create the sensation of snow clouds overhead with tall bare branch arrangements, wired with silk flowers or string lights. Or simply swag tulle or organza from the ceiling, sprinkled abundantly with flower petals. 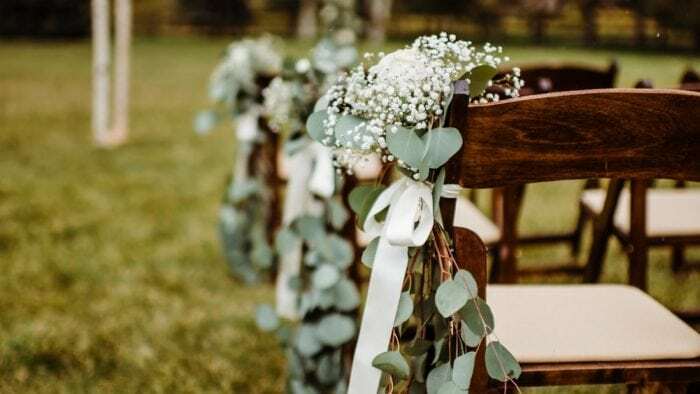 Finally, take a page from celebrity planner Jo Gartin’s playbook, and give your venue a scent dimension. 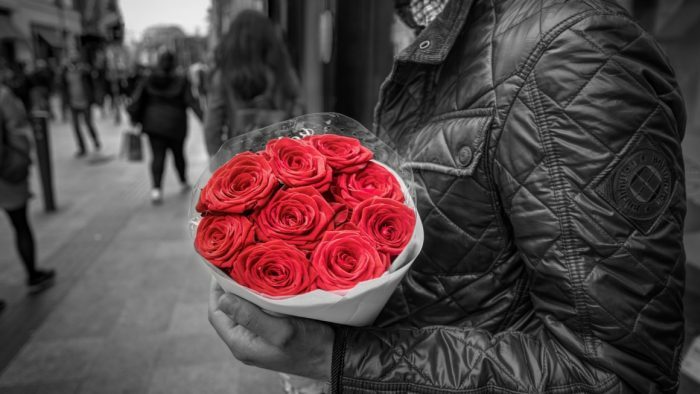 Have a helper spray around the room with something slightly Asian, slightly sweet — but not too overpowering — before your guests arrive. Hand your bridesmaids pink oil-paper parasols, or sandalwood fans. Instead of the usual flat satin, coordinate all your gowns with beautiful, rich brocade sashes. Take advantage of the sumptuous, you-could-frame-this papers designed to celebrate the cherry blossom. Use these to design absolutely one-of-a-kind invitations, save the dates, paper fans or favor tags. 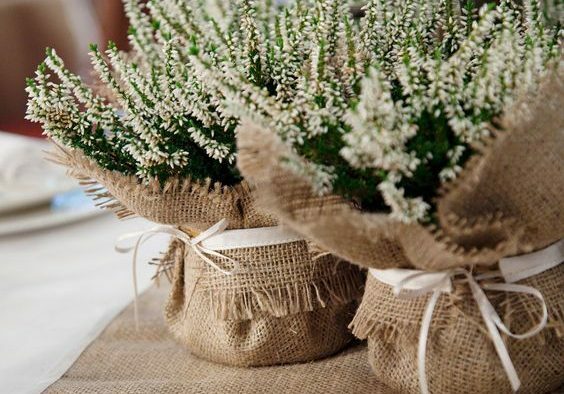 Lightly spray your invites with that special signature scent to get guests in the mood. For jewelry, look to lacy, filigreed silver pieces — or pearls. Candy’s sweet, like spring — and love — so consider a candy buffet, stocked with heaps of pink and chocolate treats. Set out personalized pink take-out boxes for guests with a sweet tooth. Libations are an important part of any blossom-viewing party, so mix up a special drink: champagne with a candied cherry, or a custom cosmopolitan. And finally, to add some warm punches of light, hang round paper lanterns from the ceiling, and place shoji-style lanterns on the tables.